The entire Bible is centered around Jesus. The Old Testament prepares us to meet Him. The gospel intimately describes His life. The remaining books of the New Testament show how to live in Him. God spent a lot of time talking about Jesus because He is the only way to gain life and freedom (John 8:31-36, Romans 6:1-14). If you don’t obey God wholeheartedly, read the gospel and fall in love with Jesus, then decide to follow Him (Mathew 16:24-27). Those who do follow God wholeheartedly but are not at peace, rekindle your fire. You don’t have to wait for heaven to receive peace and joy (Romans 5:1-5). Submit all to Jesus. Don’t entertain the devils lies (John 8:44). The only thing that stops the devil from attacking is the word of God. Jesus is the word (John1:1-5). Use the word to cut the devil and he will flee (Ephesians 6:17, John 14:12-14). Sometimes I have to stab him a few times before he runs. I thank God for freedom through Jesus! 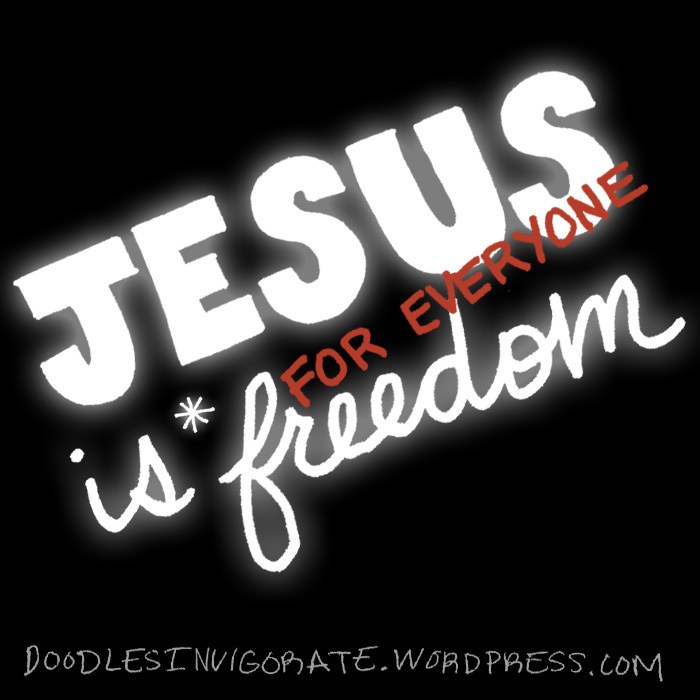 Jesus is freedom for everyone. Be free!